‘Its Okay to be a racist again’ At least that’s the impression the world seems to have all of a sudden. It’s a worrying trend, towards hate, isolationism and xenophobia that has been brewing all year on both sides of the pond. The rise of Trump as a political force in the zeitgeist of American politics, married with the media led foaming at the mouth among the Brexit supporters makes for a terrifying political atmosphere. This is not to say all Brexit supporters are racists, any more than all Trump supporters are gun toting rednecks. Indeed a great many are not, they are concerned people who follow a political ethos that aligns with Trump or that of Brexit. Intelligent considered people who probably hate been associated with the racists, and have reasons of political philosophy for their views. The sovereignty of parliament, a dislike of undemocratic bureaucracy, the perception of a corrupt status quo, and dislike of overbearing regulations. The problem is, however, that a fair proportion ( notice I do not say a majority) of those who have pinned their flag to these causes are xenophobic, racist, often homophobic, sexist and of the far right of the political spectrum. People whose views have long been marginalised as no longer relevant in wider society, considered abhorrent and on the decline, and happily consigned to a less enlightened age which we have all grown past in the latter decades of the 20th and early 21st centuries. The large problem is that with the success of Brexit, the rise of Trump in America, the groundswell of anti-immigration rhetoric, it has become acceptable in the eyes of a significant portion of the population of both the UK and America to be openly racist. “It’s okay to be racist again.” is not a made-up slogan. It’s not satire, or something I am saying to make an impact. They are words been spoken by seemingly normal people with seemingly normal views. It’s a phase used on Facebook to defend indefensible comments. It’s a phase hear on talk radio stations. Used by ‘some’ Trump supporters, and ‘some’ Brexit supporters, but more worryingly it’s an ethos that has been growing. This is the daily mail which has bene publishing head lines like the below for years. 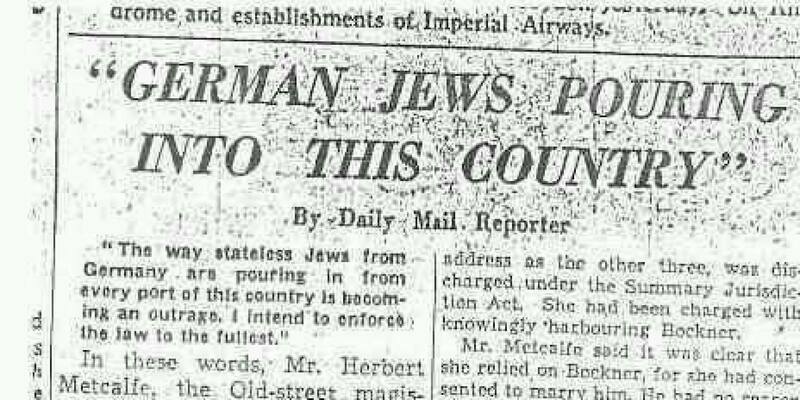 Yes, the Mail has history here, so do other UK papers. As does Fox news in the states. But this is not the worrying factor, we should not be worried about a rise in racism because there has not been one. No one wakes up one morning and decided to become a racist. There is no rise in racism, it is instead a rise in open racism. A rise in the willingness, or at least the perception of a willingness, of society to accept racism as a legitimate view. A belief that it’s okay to express racist views and even this is not the worrying factor. The worrying factor is that the racists have won some political battles.